Every year, hundreds of millions of fans follow sports. With such massive audiences and influential players, there is great potential for sports to up their sustainability game. 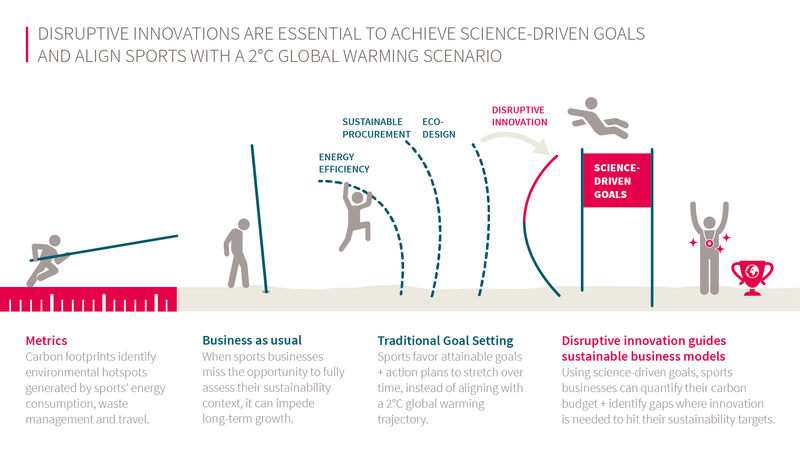 Boosted by cross-sector collaboration, sports organizations can harness this dynamic to spark the transformative change required to align with a 2°C global warming scenario. To step up to the plate, sports organizations can ride the momentum initiated by the Science-Based Targets initiative (SBTi). The result is a strict carbon budget for the world until 2050 – where businesses are allocated a share not to exceed. Working back from that allocation, sports businesses can set specific goals, define ambitious action plans and take measures to meet them. Many leading businesses are adopting science-based goal setting to track their progress against just how much global warming the planet can accommodate. There is indeed a clear advantage to this business decision as it generates resilient growth, longer-term access to resources, increased stakeholder engagement, an improved image, and more. To navigate the shift towards science-driven goals, Quantis outlines common drivers in sports and science-driven goals and explains which approaches are recommended for sports organizations seeking to set their own. Sports catalyze major enthusiasm, putting them in a unique position to raise global awareness around sustainability and reduce the sector’s impacts. Maintaining that prestige requires sports to demonstrate to their audiences they are going the extra mile to tackle climate change. Paving the way for other key players to implement a full assessment of their carbon footprint, the Organizing Committee of the Olympic and Paralympic Games Rio 2016 and UEFA EURO 2016 chose Quantis to measure their environmental impacts, notably in terms of travel, catering, waste management, as well as infrastructure construction. At the United Nations Framework Convention on Climate Change side event at COP23, Formula E Sustainability Manager Julia Pallé reinforced that there is “a tremendous opportunity for sports to act as a platform to raise awareness on the challenges facing the climate”. She added “science-driven goal setting is all very new to sports businesses, but with the appropriate guidance, we enthusiastically support global initiatives by setting ourselves ambitious goals and taking steps to curb our environmental footprint”. Neil Beecroft, founding Director of Sports and Sustainability International supports Pallé’s call to action: “Now standards and carbon footprint assessment methodologies are in place, the next logical step to progress on sustainability is to standardize science-driven goal setting across sports events and federations”. Joining the SBTi puts sports businesses in a position to get the guidance they need to curb their environmental footprints. As December 2017 rolls in, newcomers may count on inspiration from heavy-hitters ASICS and PUMA SE, along with the more than 320 companies of all sizes and sectors that have made public commitments to the SBTi and are working toward the same goal. Instead of coasting on a business-as-usual approach to carbon reduction trajectories, wherein companies set attainable goals, science-driven goals require a value chain approach to carbon budgeting, with a longer-term vision that will keep their business at – or below – their specific allocation. Like pole vaulting champions combine skill and the best available knowledge to propel themselves, sports businesses need to understand their sustainability context, set science-driven goals and take concrete steps to meet them (see graph). `Federations, leagues, clubs and the likes have a built-in advocacy role for sports. Setting their own science-driven goals would drive the sports community to raise its sustainability game. In this specific case, Quantis recommends following the SBTi’s Sectoral Decarbonization Approach for service providers to address their activities’ direct impacts. Recurrent events can set the same percentage of emission reductions as is required to stay within the global carbon budget. When possible, Quantis suggests they refine these goals by following the SBTi’s Sectoral Decarbonization Approach. 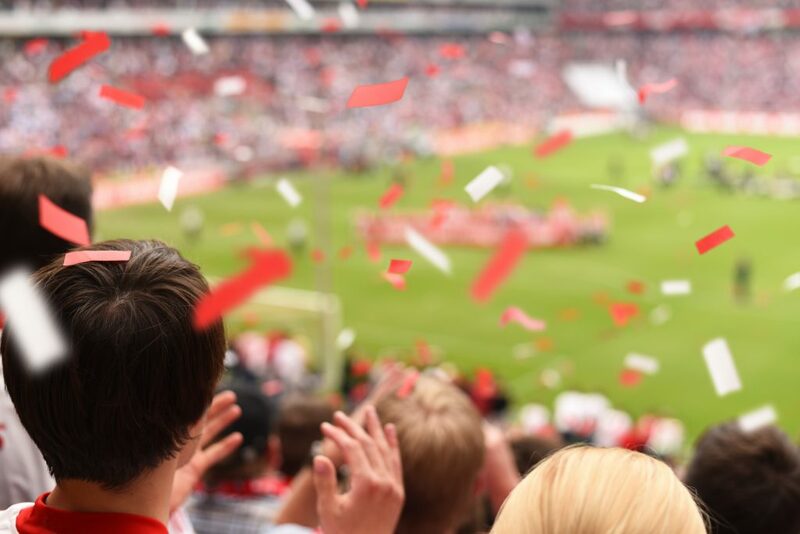 Despite the complexity of identifying relevant carbon reduction cuts, sports events would benefit from a preexisting business momentum and spread the learning curve across different events. Sports events organized in varying geographical contexts, cities, infrastructures and even cultural habits will find defining a common baseline challenging. Instead, Quantis puts forward the qualitative target recommendations issued by the We Mean Business Coalition, which would guide sports toward ambitious climate action (e.g. committing to 100% renewable power) and addressing other environmental issues (e.g. fighting deforestation, water security…). Science-driven goal setting brings sports businesses to move beyond quick environmental wins to future-proof their entire supply chain and operations. Because they can – and must – affect business models, disruptive innovations are essential. Sports businesses tend to focus on technical innovations to drive performance. Science-driven goals set them on a pathway to long-term sustainable growth, well beyond what they can currently predict. Sports are characteristically drawn to challenges and their organizations wield immense supply chains. Science-based approaches lend their business models an additional sustainability edge, allowing sports organizations to take leadership in the shift toward a low-carbon future. As science-driven approaches foster sustainability leadership, they could also yield new and better opportunities for sports businesses. Sharing in on the same environmental challenges, sponsors (as well as hosting cities) have also been defining 2°C global warming trajectories. Sports having formal science-driven goals could therefore become a differentiating factor (and eventually a requirement), as their partners increasingly aim to align sponsorship and sustainable growth strategies. 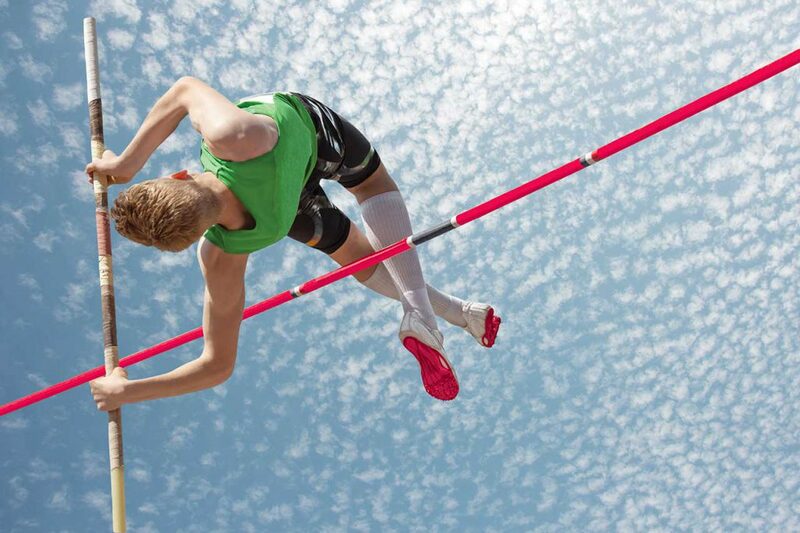 Finally, science-driven goals streamline risk management in the sports arena, to strengthen credibility and stakeholder confidence (particularly investors), cut costs and open new markets. 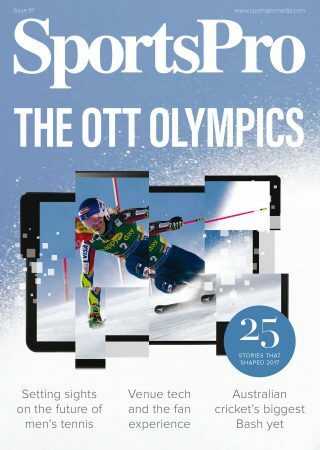 “With major strengths in innovation, visibility and drive, the sports industry must now structure their mitigation efforts with science-driven goals”, concludes Quantis’ Senior Sustainability Consultant and Sports Sector lead, Denis Bochatay, “Sports have fantastic initiatives to share in order to deliver long-term value to the global community”. An innovation in both vision and method, science-driven goals stand to structure sports’ leadership in the global transition toward a low-carbon, sustainable future.